“In the current market, it can feel like a challenge to try and focus past the potential for supply chain disruption over the coming months, and onto the long term,” says Lynx managing director Rachel Dobson, “but that’s exactly what we’re encouraging hospitality businesses to do. Beef: The arrival of the barbecue season from Easter onwards will see an increase in the demand for burger cuts from the beef forequarter, as well as continuing demand for steaks, Round cuts such as topsides and silversides are likely to be better value. 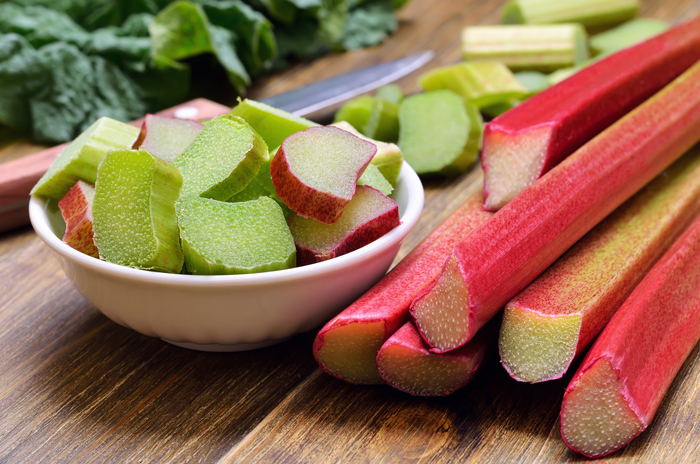 Dobson adds: “High quality British produce coming into season this spring includes rhubarb, asparagus, and Jersey Royals. While higher demand may push up prices, we’re encouraging our customers to buy British wherever possible, and to make the most of produce when it’s at its best in terms of price, quality and availability. Lynx Purchasing is launching a new sustainability programme in partnership with its key suppliers. 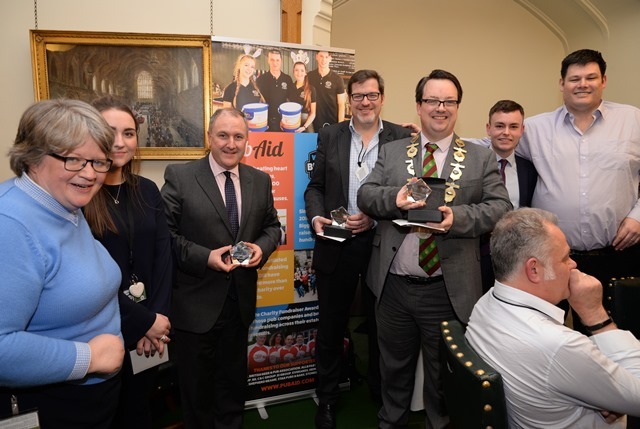 As just one example, Lynx Purchasing has now joined the Sustainable Seafood Coalition, which is working to ensure that all fish and seafood sold in the UK comes from sustainable sources. “We’re the first purchasing group to join, and our membership is part of a wider commitment to sustainability across our business,” says Dobson. Paddy Irish Whiskey is launching a high profile neck-tag competition tied in to St Patrick’s Day, with matchday tickets to London Irish Rugby Club fixtures up for grabs, as well as replica shirts, hats, mugs, hoodies and other London Irish merchandise. The prize tags will be on 15,000 bottles of the iconic Irish whiskey. 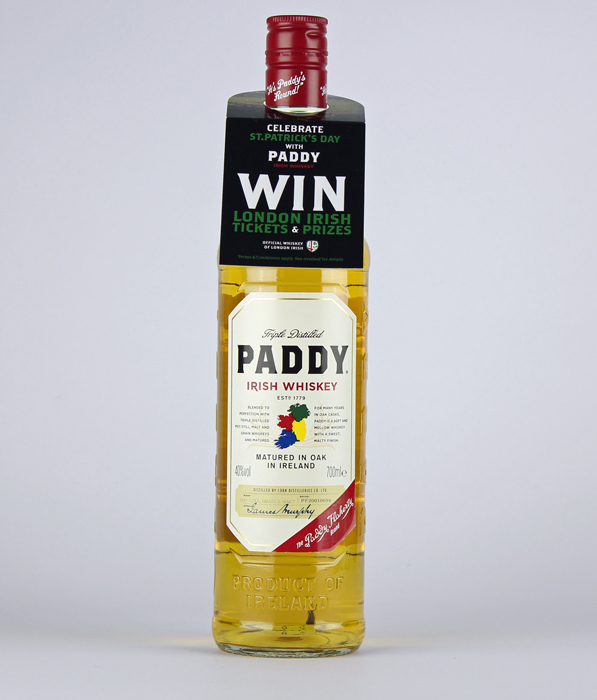 The Paddy promotion will feature on bottles sold in Tesco from the end of February, as well on Amazon and through independent retailers, with more than 100 prizes up for grabs in total. The promotion builds on the partnership which has seen Paddy become the Official Whiskey of London Irish for the 2018/19 season. The neck-tags feature a unique code which can be entered at www.winwithpaddy.co.uk. Match-winning codes can be redeemed for a pair of tickets to a choice of this season’s Greene King IPA Championship clashes at London Irish’s Madejski Stadium in Reading. Paddy Irish Whiskey will also be at the heart of the London Irish’s St Patrick’s Day party, taking place after the match on Saturday 23 March. The event will feature live music and great food and drink, including a Paddy Whiskey bar offering samples, and serving Whiskey Gingers and Irish Coffees for guests. Paddy Irish Whiskey is 40% ABV and has an RRP of £20 for a 70cl bottle. For more information, please contact Hi-Spirits on 01932 252 100, email info@hi-spirits.com or visit www.hi-spirits.com. • Blended with triple distilled pot still, malt and grain whiskeys and matured in oak casks, Paddy is a soft and mellow whiskey with a sweet, malty finish. • Paddy owes its name to legendary distillery salesman Paddy Flaherty. Famed throughout his native county Cork for buying rounds of his favourite tipple, he became so synonymous with the whiskey he sold that in 1913 the distillery owners paid him the ultimate tribute by renaming the whiskey “Paddy” in his honour. Hogs Back Brewery is unveiling a new keg beer range at Craft Beer Rising as it steps up its product innovation programme. 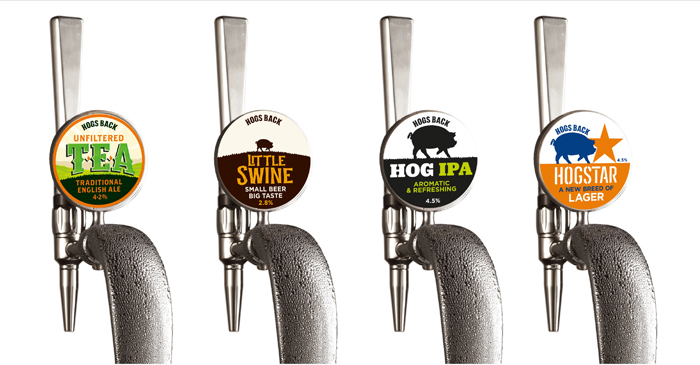 The range comprises rebranded Hogstar lager and three new beers: Unfiltered TEA, Hog IPA and low ABV blonde beer Little Swine. The new range is Hogs Back’s biggest NPD launch since it introduced Hogstar in 2013 and reflects the brewer’s forward-looking approach to its portfolio, evolving it to meet the demands of younger drinkers, who generally favour keg beers, while also satisfying the many loyal drinkers of its cask beers, particularly TEA (Traditional English Ale). TEA has enjoyed impressive growth over the last year despite the decline in the cask market, and remains Hogs Back’s flagship beer. The design for all four beers is clean, modern and eye-catching. While each beer has its own distinctive look, they are clearly part of the Hogs Back family, which will encourage consumers to try beers across the range. The new designs are initially being launched on impactful draught founts before being rolled out to packaged product later this year – Hogstar in bottles and cans and Hog IPA in cans. Packs for Little Swine and Unfiltered TEA are to be confirmed. Rupert Thompson, Hogs Back managing director, said: “We’re delighted with our new keg beer family. Although we’ve been brewing great keg beers, including Hogstar lager, for some years, we’ve been seen more as a cask brewer, thanks to the success of TEA. Hogs Back Brewery will be on Stand 91 at Craft Beer Rising with a distinctive, specially designed Hop Garden Bar. Craft Beer Rising takes place at the Old Truman Brewery in London’s Brick Lane from 21 to 23 February. Hogstar: 4.5% ABV lager brewed with special lager malts and five different hops from the UK – including English Cascade from the Hogs Back hop garden – Europe and USA. A small quantity of natural herb extracts is added before Hogstar is left to mature for over a month. The result is a beer that has all the crisp refreshment of a lager, but with a greater depth of flavour and aromas. Unfiltered TEA: An unfiltered version of Hogs Back’s flagship TEA (Traditional English Ale), a full-bodied bitter, brewed in small batches using English malt carefully balanced with Fuggles hops, some of them from the Hogs Back hop garden. Cold-conditioned for 1 week and unfiltered for optimal flavour. Hog IPA: 4.5% ABV light, hoppy ale with a blend of floral and fresh citrus notes upfront, well-balanced with a long, dry finish. Hog IPA is brewed with a selection of fine English malts and locally grown Cascade and Fuggles hops, alongside US Centennial. Little Swine: A new 2.8% ABV dry-hopped aromatic blonde beer – billed as a ‘Small’ Beer with a Big Taste. It is brewed with a carefully selected blend of aroma hops including home-grown Cascade, and then dry hopped for additional aroma and flavour. No and low alcohol beers have grown by 22.7% volume and 24.3% value over the past year, according to CGA. Rockpool Investments, the private equity investment firm, has appointed a new chairman and managing director for its Epic Pubs, Heroic Pubs and Aspley Pubs businesses. Rufus Hall, who is also chairman of Rockpool backed Urban Village Pub Company and Metropolitan Village Pub Company, is the new chairman of the three companies who between them have 11 pubs. 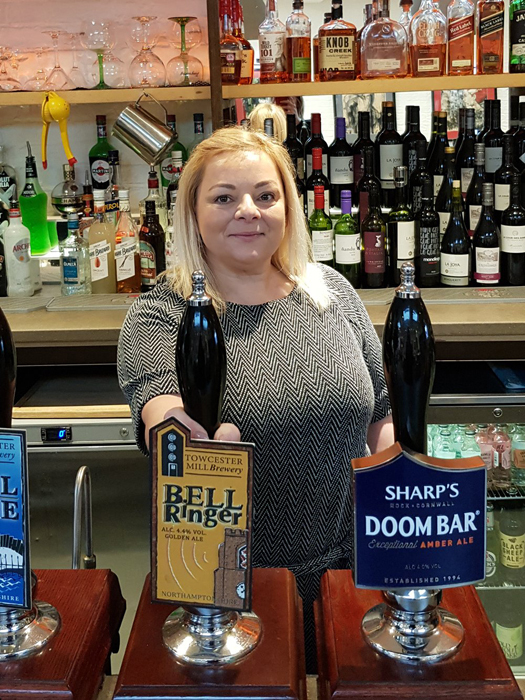 Jo Probert, formerly at Stonegate Pub Company’s Slug & Lettuce, joins as the new managing director of the companies, which operate three freehold and eight leasehold sites across eight counties, including one pub in London. The latest opening is Aspley Pubs’ The Hummingbird in Hertford which opened in November. The external umbrella operating name for the three companies is Epic Pubs. Rockpool Investments is looking at further acquisition opportunities for Aspley Pubs in late 2019. 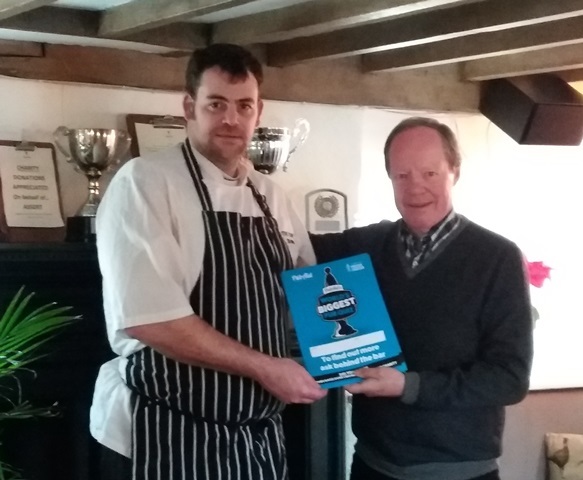 A big focus is being put on driving more pre-booked sales, as the majority of pubs have excellent private dining facilities, with a newly expanded sales and marketing role created to support this drive. Lisa Burbidge has been appointed company secretary. She joins from the NHS and also previously worked at The Orchid Group. The pubs were previously operated for Rockpool by Andrew Coath, managing director of management services company Unique Hospitality Management, on a contract basis.